Madrid, Spain – An ambitious effort has been launched to prevent malaria in pregnancy in communities in sub-Saharan Africa. This innovative initiative will complement existing antenatal care services and increase pregnant women’s opportunities to access care under a grant agreement signed today by Unitaid and Jhpiego, an international nonprofit health organization and affiliate of the Johns Hopkins University. 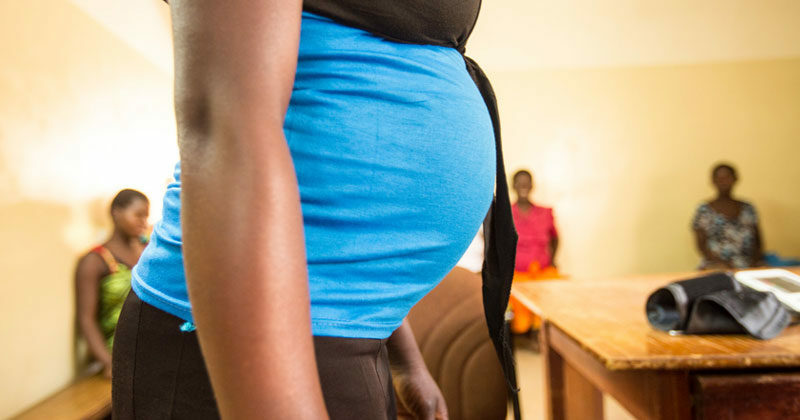 Unitaid is investing US $50 million to ensure that pregnant women in malaria-affected countries in sub-Saharan Africa have access to a preventive therapy for malaria known as “intermittent preventive treatment in pregnancy” or IPTp. The five-year project, to be implemented by Jhpiego, will increase IPTp coverage and expand antenatal care attendance in four African countries — the Democratic Republic of Congo, Madagascar, Mozambique and Nigeria. The project — also known as “Transforming IPT for Optimal Pregnancy” (TIPTOP) — will increase IPTp coverage through community-level distribution of quality-assured sulfadoxine-pyramithimine (the medicine used for IPT). Jhpiego has partnered with the Barcelona Institute for Global Health (ISGlobal), which will lead the research and evaluation components of the project. The two organizations will also collaborate with the World Health Organization (WHO) and Medicines for Malaria Venture to achieve the desired results. This community-based IPTp approach, which will augment and complement existing antenatal care services by reaching 400,000 pregnant women and their babies, will also produce the evidence needed to update WHO’s policy on IPTp. In areas with high malaria transmission, pregnant women and young children are especially vulnerable to malaria infection and death. Although malaria is preventable and treatable, an estimated 429,000 people died from the disease in 2015, according to WHO. Moreover, malaria during pregnancy can lead to a number of negative consequences, including low birth-weight for babies and even still births. In some cases, malaria can be fatal for the mother. In 2015, IPTp coverage rates remained at just 31 percent in 20 African countries. The Unitaid-funded TIPTOP project plans to engage community health workers to increase IPTp delivery and demand to ensure there are no missed opportunities for pregnant women to receive this life-saving medicine either in the community or through the antenatal services. Dr. Leslie Mancuso, Jhpiego’s CEO and President, said the TIPTOP project offers an exciting opportunity to demonstrate an innovative approach to address pregnant women’s needs and stop malaria in pregnancy. “Preventing malaria in pregnancy and reducing malaria-related deaths is achievable — and this partnership will go a long way toward reaching those goals,” she said. Jhpiego, an international nonprofit health organization affiliated with the Johns Hopkins University, has worked for 45 years to empower frontline health workers by designing and implementing effective, low-cost, hands-on solutions to strengthen the delivery of health care services for women and their families. Contact Kristin Vibbert at 1-484-888-0277. The Barcelona Institute for Global Health (ISGlobal), the result of an innovative alliance between the “la Caixa” Foundation, academic institutions and government bodies, was set up to contribute to the work undertaken by the international community to address the challenges of health in a globalized world.